SCHOLTENS, A.L. - Zuid Duitschland. Zuid Duitschland. - SCHOLTENS, A.L. 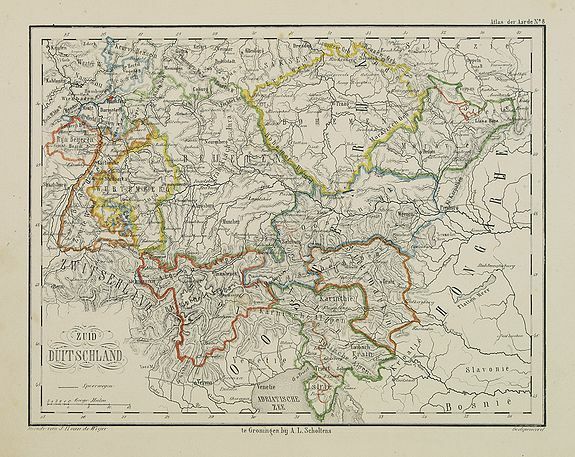 Description :Uncommon map of Southern part of Germany. Lithography by J.H. van Weijer, published in Atlas der geheele Aarde [?] in 24 kaarten. Showing railway system.